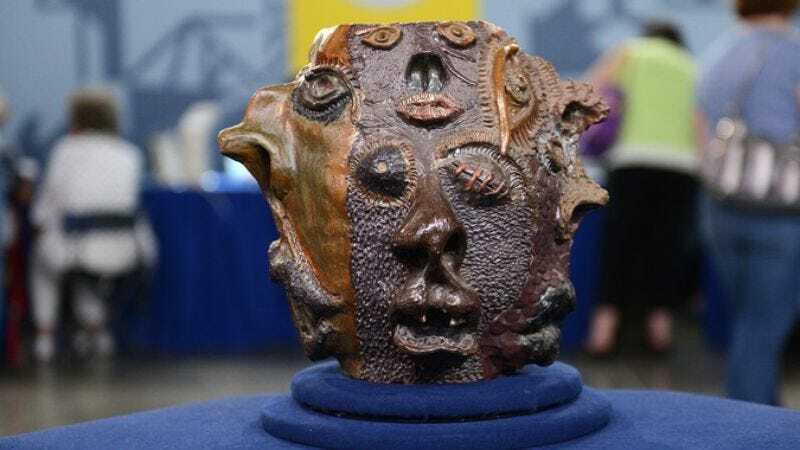 Sometimes even Antiques Roadshow makes a mistake: An ugly face jug that the show appraised at $50,000 last year, calling it “bizarre and wonderful” and assigning it to the late 19th or early 20th century, was actually made in an Oregon high school art class in the ’70s. The artist, a Bend, Oregon horse trainer named Betsy Soule, came forward after a friend recognized her piece on the show. It has since been re-appraised for between $3,000 and $5,000.